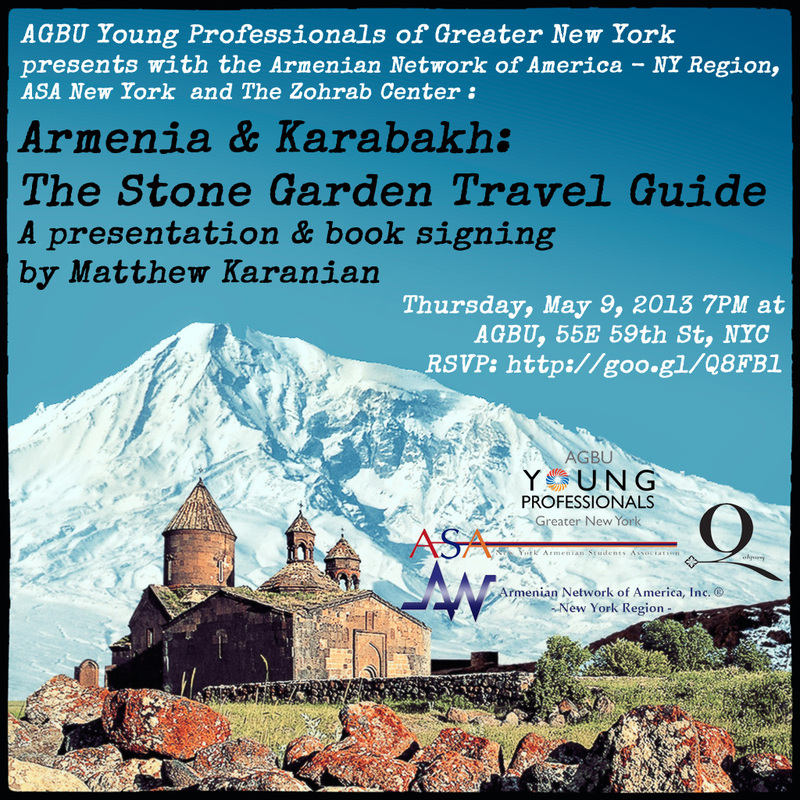 Noted photographer and author Matthew Karanian will speak about his new book, Armenia and Karabakh: The Stone Garden Travel Guide, at a book-signing reception on Thursday, May 9, 2013 at 7PM at the ABGU Center, 55 E. 59th Street in New York. The event is being c0-sponsored by the AGBU Young Professionals of Greater New York, the Armenian Netword of America-NY Region, the Armenian Students Association and the Krikor and Clara Zohrab Center. Mr. Karanian’s books will be available for sale. The event is free and open to the public. All are invited. RSVP here.